How To Properly Prepare Raw Food? Pineapple is one of those tasty wonder foods that provide us with a list of impressive health benefits. It offers so many wonderful positive qualities. In fact, it is a symbol of hospitality, nutritional powerhouse and healing food that rolled into one. Pineapple may not be the prettiest fruit, but the sensation of eating cool, sweet and somewhat sour rings of pineapple can be one of the most beautiful sensations during the hot summer days. There are many uses of pineapple, we could serve it raw, bake it into cakes and use it as jam. Pineapple is a universal symbol of warmth and friendship. The presence of pineapple could simply symbolize social charm as well. Stories told us about captains in the colonial days that are offered pineapple by natives as sign of friendship. They will eventually bring the fruit to their home countries and share it to others. Consequently, pineapple was a strong symbol of friendship for both people in distant lands and at home. In fact, seeing the fruit on a warm beach can bring relaxed thoughts in our mind. Pineapple can be mixed with a wide variety of beverages and deliver wonderful tastes. Pineapples are simply loaded with so many minerals and vitamins, such as dietary fiber, folic acid, beta carotene, potassium, magnesium, copper, manganese, vitamin C and B-complex vitamins. 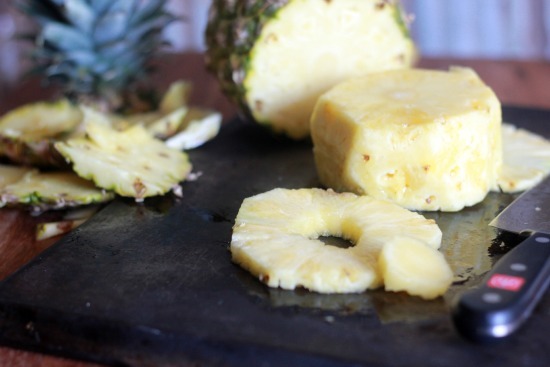 Pineapple also contains bromelain that can aid in digestion, reduce inflammation and neutralize fluids. As an anti-inflammatory food, pineapples can relieve injuries, osteoarthritis, rheumatoid arthritis, gout and carpal tunnel syndrome. Bromelain also helps us dissolves excessive mucus. This will help those with sinusitis and bronchitis. If we have sore throat, it is a good idea to eat some pineapple. We have seen many decorations that are inspired by pineapples. The fruit is depicted in many stylized images and it is also used to symbolize hospitality. There are pineapple shaped patio plaques and door knockers. We may also often see pineapple-inspired decor, such as wall paintings and hangings. Pineapple may also serve as impressive adornment for our body. In some countries, people who give pineapple-shaped jewelry, should consider that it is a symbol of lasting relationship. It means, we could wear these jewelries with pride. Pineapple could also be used as bracelets, pins, earrings and pendants. There are many artistic pineapple-shaped pieces made from gold and sterling silver. The thorny surface is a lasting testament of elegant shapes in the natural environment. Pineapple is actually an inspiration of many hot collector’s items. Many home accessories, jewelry and heirloom antiques with pineapple shape can be included on our treasure hunt list. Cookie jars, calendars, cutlery, pottery, ceramics, statue and candles can look wonderful with pineapple-shaped details. It is clear that pineapple is a wonderful multi-tasker that is valued socially, nutritionally and artistically. It symbolizes friendship, lasting health and impressive artistic taste. We should include the fruit in our lives to nurture our social life, health and intellectual mind.